Add the finishing touches to your home with our range of fencing. We're recognised in the trade for offering reliable and professional services. 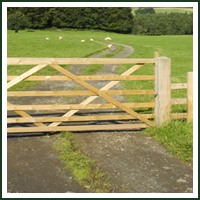 For something a little more secure, we're able to offer security gates and fencing. We have a range of items that are designed to keep your property safe. Enhance your outdoor spaces with our wooden decking and sheds. Our work is customised so that we can provide services based on your needs. Transform your garden with our wooden decking and sheds. We listen to your desires and needs and provide customised solutions for your satisfaction. Call us today to obtain high-quality fencing for your home or business. 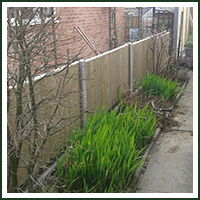 Sherborne Fencing Ltd is a reputable fencing company in Sherborne, Dorset. Backed by more than 30 years of experience, our professional fence contractors are on hand with a wide range of reliable solutions. So, if your home or business requires some sturdy and stylish fencing, look no further than our team. With competitive and fair prices, you sure won't want to miss out on what we have to offer.